Today is all about the courts, the threats they might pose to the Affordable Care Act, and Democrats’ goal of using those threats to drive turnout in the midterm elections. Driving the news: A federal district judge in Texas will hear oral arguments this morning on red states’ latest legal challenge to the ACA. 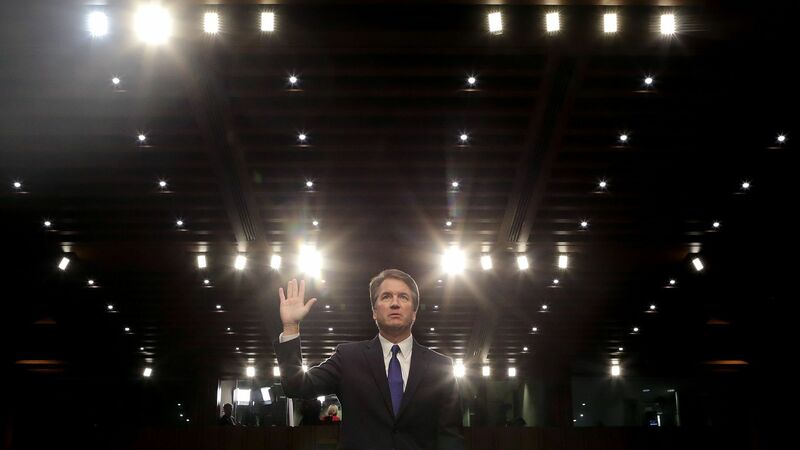 At the same time, Brett Kavanaugh will be answering senators’ questions about his nomination to the Supreme Court. Democrats’ strategy is to tie the two together — to frame the Texas lawsuit as an existential threat to the ACA’s most significant provisions and raise the prospect that a Justice Kavanaugh would cast the decisive vote to strike down the heart of President Obama’s signature achievement. Reality check: The Texas lawsuit would indeed be devastating to the ACA if it succeeds — Texas wants the courts to invalidate the entire law, while the Justice Department is hoping to ax its protections for pre-existing conditions. But a lot of pieces would have to fall into place to get there. Most of the legal experts I’ve talked to see this case as a long shot on the merits. Even if Kavanaugh were to vote to strike down the ACA — which we can’t know for sure, based on his track recordwith the law — Chief Justice John Roberts would also have to do an about-face and vote to kill the ACA, after upholding it twice before, in order for this suit to ultimately succeed. The big picture: If there are any tea leaves to read today about the ACA’s future, they’ll come from Judge Reed O’Connor in El Paso, not Judge Brett Kavanaugh in Washington. Don’t expect Kavanaugh to say anything revealing about health care, much less to comment on this specific case. Situational awareness: The Kavanaugh questioning starts at 9:30 a.m. ET. The district court arguments start an hour later.